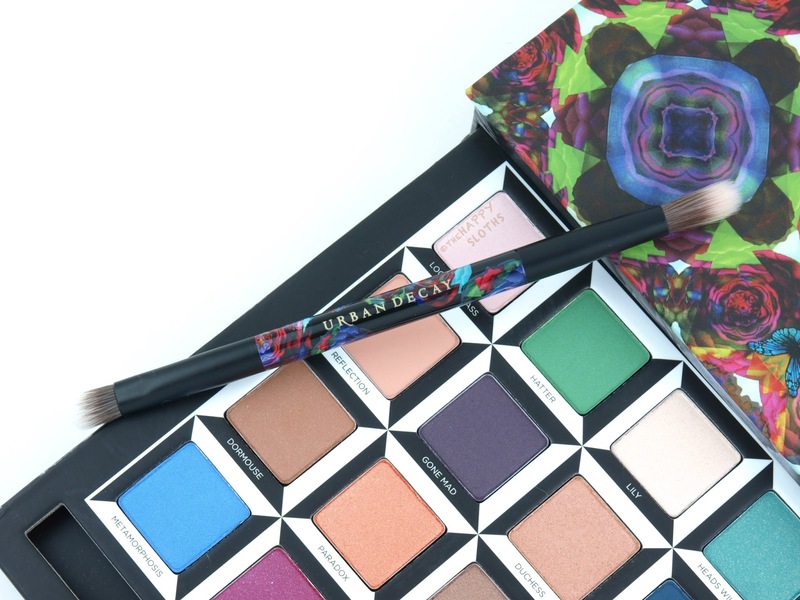 Urban Decay is going back to the basics with this cardboard palette. 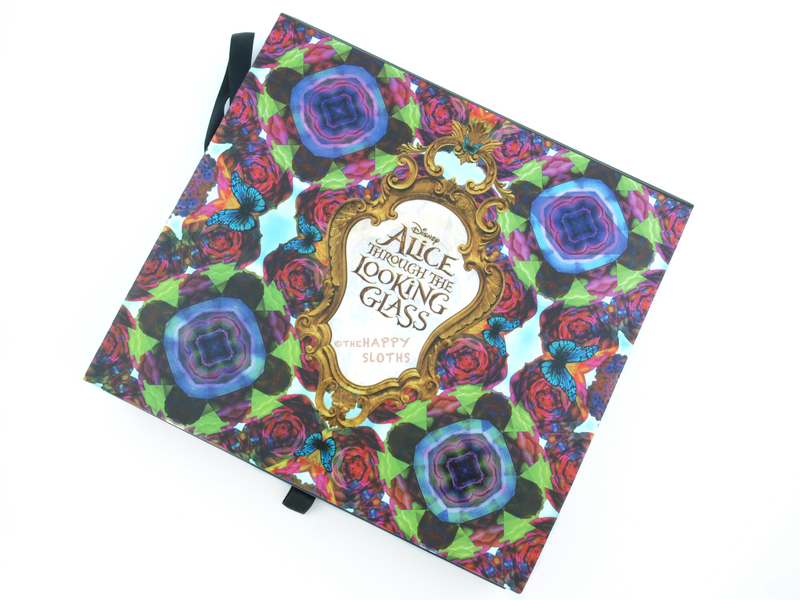 I've really come to enjoy the recent plastic/metal compacts so I am not loving the fact that this is cardboard (they dent and wear a lot faster), but the design is certainly very pretty. 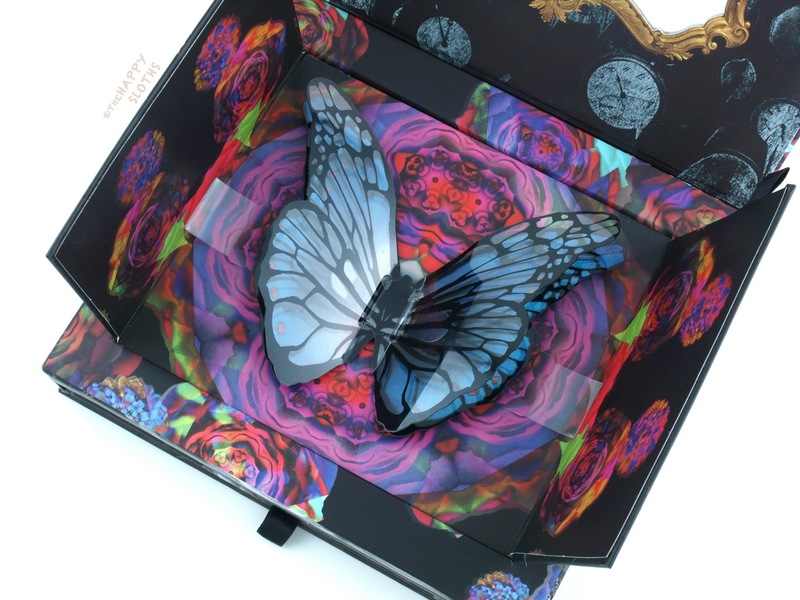 The entire palette is covered in a beautiful psychedelic kaleidoscope pattern and when you lift the lid, you get a pretty framed mirror and a double-flapped door that opens to reveal a beautiful 3D butterfly. 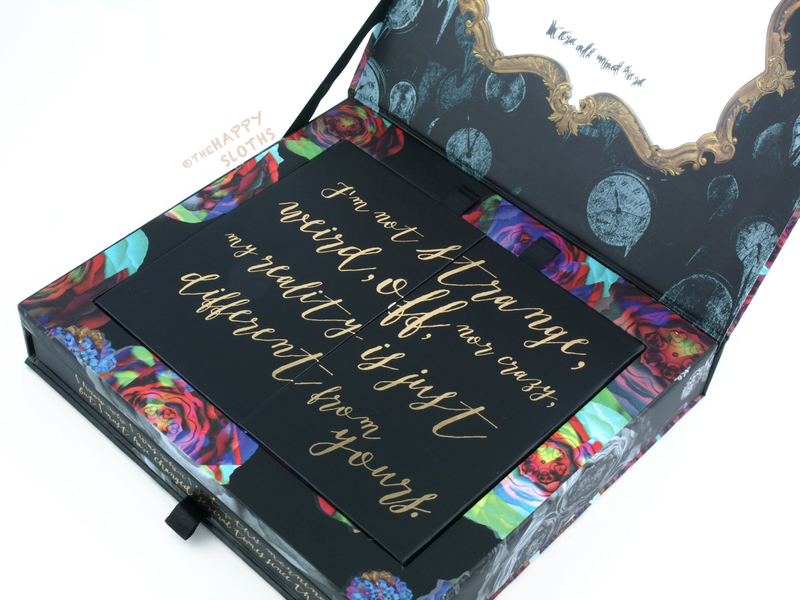 Additionally, quotes from the story are embossed in gold all around the palette, great for serious lovers of the original book. Included is a double-ended shader and blender shadow brush. 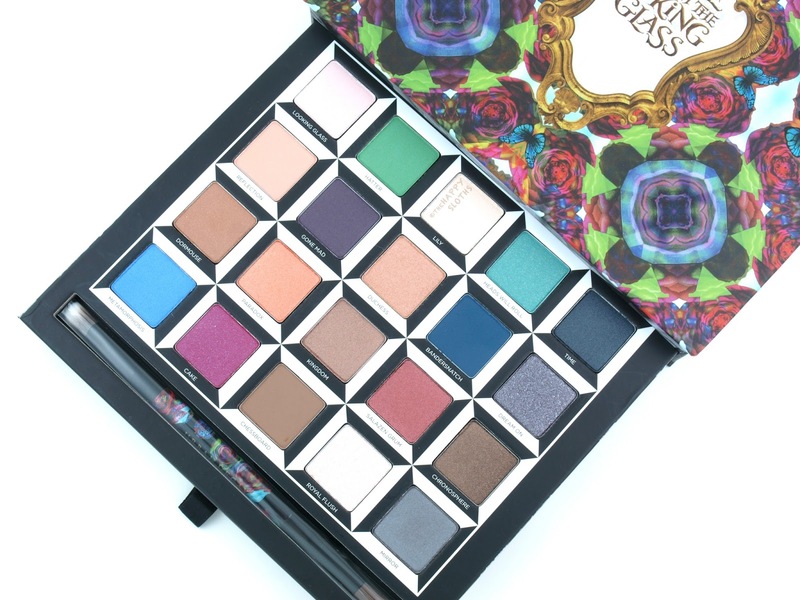 The palette holds 20 shadows and each is 1.3 grams. The insert that holds the shadows is removable for easy access. 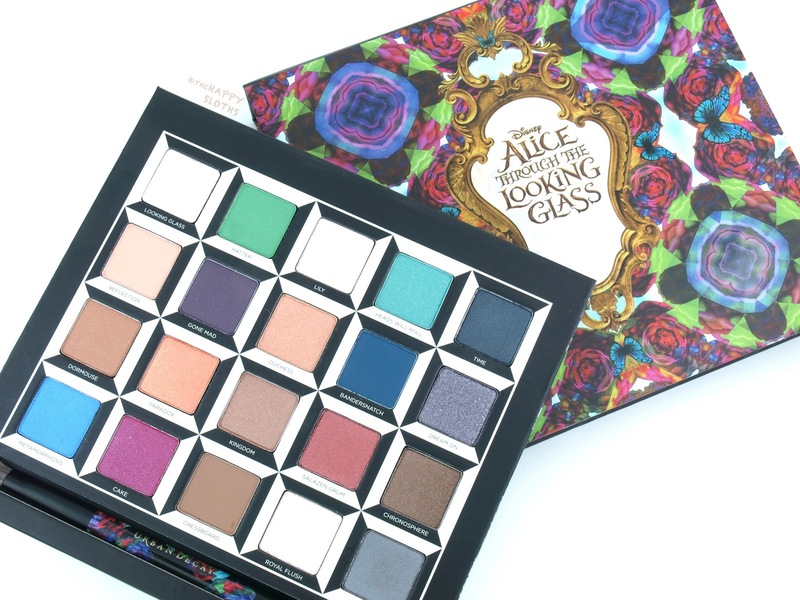 The color selection of the Alice Through the Looking Glass palette is quite unique; there are a lot of brights but you still get a handful of easy-to-wear neutrals. 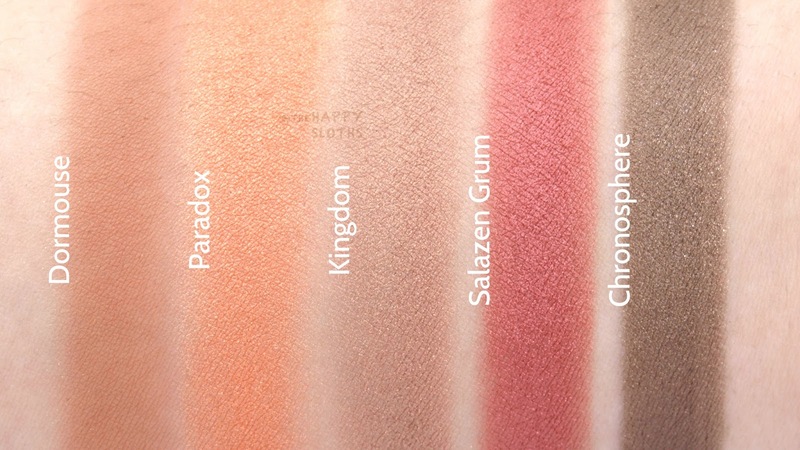 The majority of shades are all very nice but the dark metallics and shimmers are definitely far superior compared to the others. Looking Glass: Soft satin pink cream. 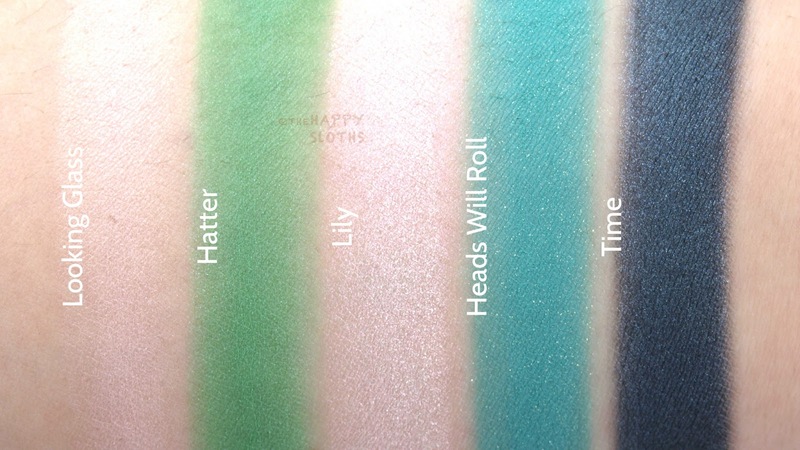 Hatter: Fresh grass green satin with silver sparkles; this one is slightly sheer. Heads Will Roll: Bright aquamarine with golden sparkles. The pigmentation is decent on this one. Time: Dark navy blue with silvery blue shimmers. This one is super rich and buttery. Gone Mad: Dark plum with purple sparkles; this one is quite patchy and sheer. 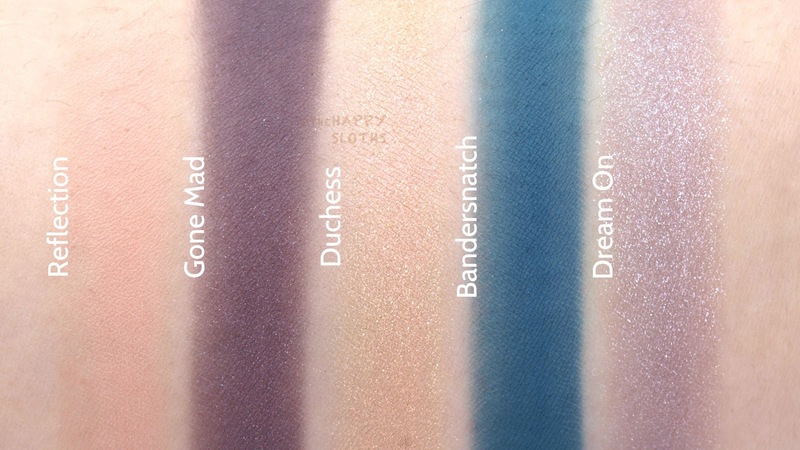 Bandersnatch: Dark teal matte; decent pigmentation with slightly dry texture. Dream On: Glittery sheer grey-lavender. Dormouse: Soft terra-cotta with silver sparkles. Paradox: Warm orange-gold shimmer; this one is very rich and pigmented. Kingdom: Soft cream brown metallic; buttery and rich. Salazen Grum: Red metallic; very pigmented and creamy. Chronosphere: Medium cedar brown metallic; again, this one just so pigmented and buttery. Metamorphosis: Periwinkle blue satin with blue sparkles; slightly sheer and patchy. Cake: Hot pink shimmer with silver sparkles. Chessboard: Matte light brown; the formulation is slightly patchy. 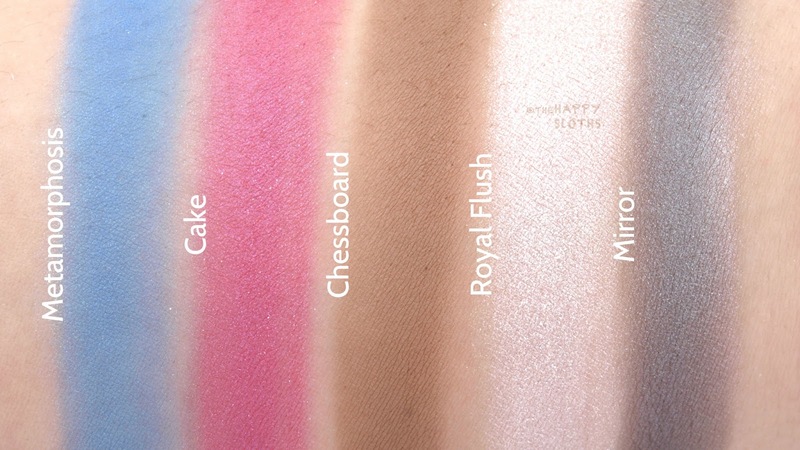 Royal Flush: Pale pearl shimmer. Mirror: Silver-grey shimmer; great texture, very soft and smooth.